Archery is the national sport of Bhutan and if you’re lucky you might catch a match in action. Experience trekking in the beautiful nation of Bhutan, high up in the Himalayas. This trek takes you along high mountain passes, through the wilderness and into a world of snowy peaks, glacial lakes, blue sheep and alpine blossoms. Meet the local Layap people and hike through one of the most magnificent landscapes on earth. 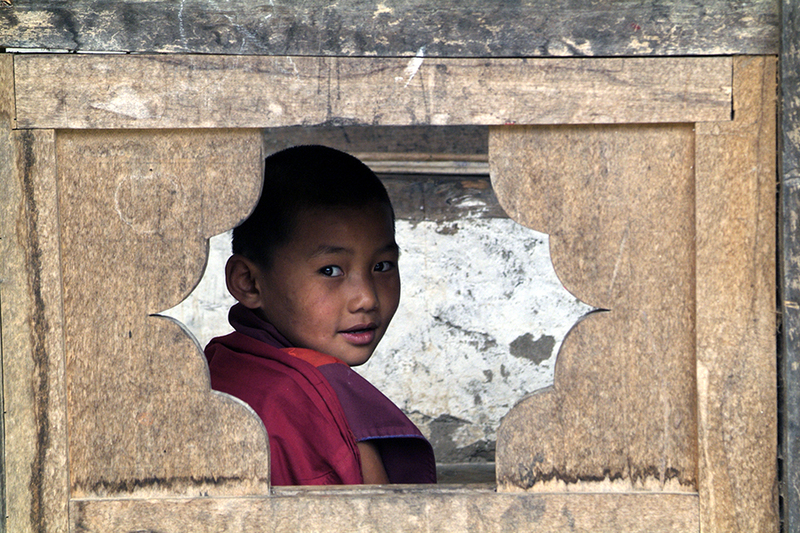 Arriving into Paro, you’ll be met and transferred to your hotel. The flight into Bhutan will afford you magnificent views of Mount Everest, Kanchenjunga and the rest of the Himalayas. This afternoon you’ll visit Ta Dzong, the National Museum and one of the city’s innumerable archery grounds. Archery is the national sport of Bhutan and if you’re lucky you might catch a match in action. Today you’ll visit the spectacular Taktsang (Tiger’s Nest) Monastery in order to acclimatise before the main trek. A two hour horse ride will take you through lush pine forests, festooned with Spanish moss and fluttering prayer flags before you catch sight of the Taktsang Monastery, clinging to the edge of the sheer cliff. Built in the 1600s, legend has it that Guru Padmasambhava, the man who brought Buddhism to Bhutan, landed here on the back of a flying tiger! Today is yours to rest after a hard few days trekking. You can acclimatise to the altitude by relaxing in the camp and enjoying the views or head up to the Jhomolhari glacier to hike across the ice, catching glimpses of the deep blue lakes around it. Today is a rest day, where you’ll have time to refresh yourself after your long trek up to Laya as well as to join in with the day to day life of the village and make friends with the locals. After a day of rejuvenation you’ll be ready to begin the descent back to Paro. After leaving Gasa village the trail winds through rolling hills with views of fields and forest of pine trees. More stunning views of the dzong as you leave, from some angles it looks like it is floating alongside the cliff face as it clings to the edge. Descending back into the agricultural land above Thimphu the atmosphere will become more tropical as you walk past gorges full of banana trees and watch the occasional monkey in the creepers. Overnight at a hotel after a successful trek into the mountains. This morning you’ll get to visit the Punakha Dzong, the ancient capital of Bhutan built in 1637 before moving onto Wangdue where you’ll stop to visit the Wangdiphodrang Dzong located on the top of a hill over the Dang Chu River. Onto Thimphu and you’ll have the afternoon and evening to enjoy the capital. With a day to explore Thimphu, why not head to the National Institute of Traditional Medicine or the National Library, full of priceless ancient Buddhism manuscripts and books. You can also learn about the industry of Bhutan with a visit to the Handmade Paper Factory or the Textile Museum before shopping for last minute souvenirs at the Handicrafts Emporium, which has lots of traditional Bhutanese products on sale. A morning drive to Paro will take you past the Botanical Gardens where you’ll stop and have a look around the colourful plants and flowers that thrive here. Enjoy your last night in Bhutan in Paro, with a delicious traditional dinner and a toast to a fantastic trip! Your time in Bhutan has come to an end but hopefully your time trekking through this stunning mountain kingdom has given you a wealth of experiences and memories to take away. 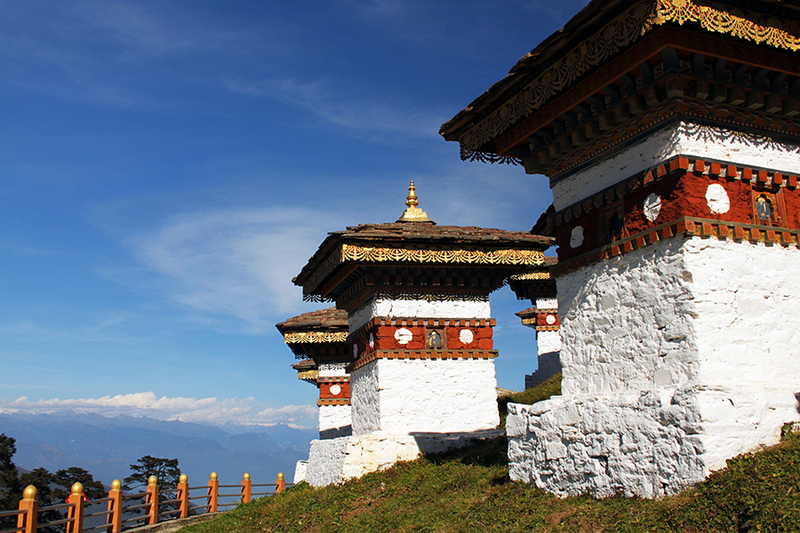 In the morning you’ll be transferred to the airport in Paro for your onwards flight. March-May & Sept-Nov are the best months to visit Bhutan, be sure to book in advance as accommodation options can be limited. Himalayan views are best in October and the rhododendron blooms peak in March and April. Savings can be made if you travel outside of peak season, the weather is still pleasant although it can be cold in December and January. Monsoon rains put an end to most treks from June until August. All of our itineraries are tailor-made to give you an idea of just some of what is possible; this means we can adjust as necessary to completely suit your needs! Let your travel consultant know how long you plan to spend away, what you like to do, what properties you like to stay in and an idea of your budget and we will do the rest!